While all of these elements are important for everyone, they are especially important for women who are pregnant, plan to become pregnant, or have recently given birth. This article will discuss the first area, chiropractic care and why it is beneficial for expectant mothers. Relief from low back pain, sciatica, pubic bone pain, tailbone pain, headaches, neck pain and joint pain Pregnancy is a time where the body experiences rapid change and growth. As the woman gains weight, more stress and pressure is placed upon the joints, and posture shifts which can lead to many aches and pains. Low back pain is one of the most common complaints during pregnancy. Gentle, safe, drug free way to deal with pain Many medications are not safe during pregnancy or women may not want to take anything. Chiropractic is a natural way to treat the discomforts that are common during this time. More comfortable sleep The expanding belly can often make it difficult to get into a comfortable sleeping position because more pressure is placed on the hips. The adjustment realigns the pelvic bones to reduce pain and pressure. More comfortable pregnancy In addition, changing hormone levels can cause reflux, nausea, heartburn, constipation, and fatigue– secondary issues which may also improve with regular chiropractic care by removing interference on the nerves and allowing the body to function at its optimum level. Prepares body for birth Chiropractic care involves balancing the alignment of the bones, muscles, and ligaments in the body and removing interference on the nervous system. Chiropractic adjustments create movement and reduce tension in parts of the body that aren’t working properly. It is known that when the opening of the birth canal is decreased it can create difficulty during delivery. The opening of the birth canal can be decreased if there is misalignment of the pelvic bones. This is most common due to trauma but can happen over time due to bad habits, repeated movements, or poor posture. Adjustments of the sacroiliac joints will help decrease pain and pressure, relax the pelvic floor muscles, and increase the opening of the birth canal. Allows baby to get into the best position for delivery The increased room in the pelvis from the adjustments gives the baby more room to grow and develop as well as allowing the baby to get head down, the best possible position for birth. This is helpful for VBAC (Vaginal Birth After Cesarean Section) and in reducing the rate of c-sections because if the baby is head down you are less likely to need a c-section. If the baby is head down and in proper position it will stimulate the birth process (proper engagement into the pelvis and stimulation of the cervix) and there will be less need for interventions. Easier and faster delivery There have been a number of studies that have shown chiropractic care during pregnancy may have a positive impact on the birthing process. It has been indicated that chiropractic care significantly reduces the average amount of time spent in labor. 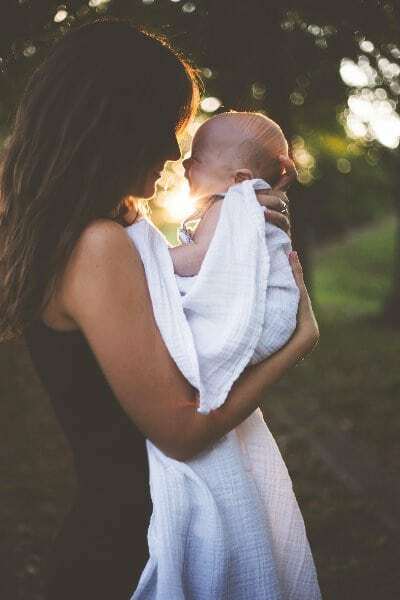 Research done by Joan Fallon, DC revealed a 30% reduction in the average labor time for those women giving birth who were receiving chiropractic care–reduction in labor time by 24% in first time moms and up to 39% in those women with one or more children. Less need for pain medication during delivery Freitag, MD an orthopedic researcher seemed to indicate the need for medications during delivery was reduced by 50% in the pregnant patients who received chiropractic care throughout their pregnancy. Easier recovery After delivery, chiropractic allows the pelvis to heal normally and recover appropriately. It can also help you adapt to your new lifestyle and the new discomforts you may experience from holding the baby, postural issues from nursing, and lugging around heavy baby carriers and diaper bags. Many moms decide to have their babies checked after birth to make sure they are developing appropriately and to help with latch while breastfeeding, colic, sleep, and immune function. Chiropractic care is beneficial before, during, and after pregnancy for both mom and the baby. Stay tuned next week we are going to go over Part 2 of our series–Nutrition! The Use of the Patient Reported Outcomes Measurement Information System and the RAND VSQ9 to Measure the Quality of Life and Visit-Specific Satisfaction of Pregnant Patients Under Chiropractic Care Utilizing the Webster Technique. Journal of Alternative and Complementary Medicine. Alcantara, J, Nazarenko AL, Ohm, J, & Alcantara, J. Performance of Eyes-Closed Unipedal Stance Static Balance Test by Pregnant Women Under Chiropractic Care. ACC-RAC Conference 2018. John Edwards, DC, Allison Union, BS, Joel Alcantara, DC, Kassandra Varner. Fallon, J. The Effect of Chiropractic Treatment on Pregnancy and Labor: A Comprehensive Study. Proceedings of the World Federation of Chiropractic. 1991: 24:31. Freitag P. Expert Testimony of P. Freitag MD PhD comparing the results of two neighboring hospitals, U.S. District Court Northern Illinios Eastern Division, No. 76 C 3777 May 1987.